The winter of 1914-15 saw the onset of trench warfare under conditions which emphasised the deficiencies of clothing and equipment. 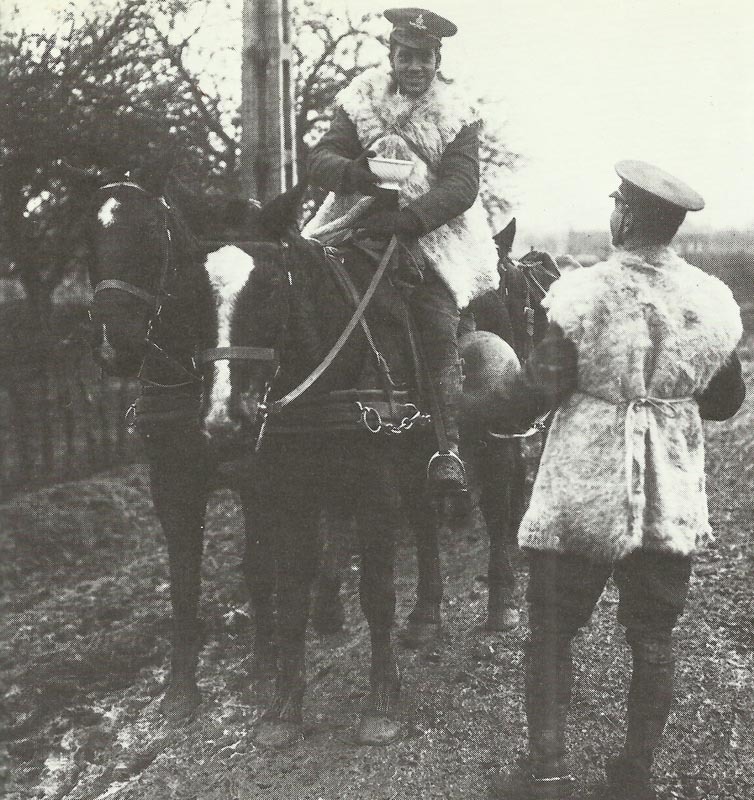 Protective coats and jerkins of leather and goatskin were issued to British soldiers. Flanders: Heavy rain ham­pers operations. King Albert vetoes against BEF­-Belgian Army amalgamation idea. Somme: French gains near Verrelles. Poland: Russian successes on river Bzura and Ravka. Armenia: Enver Pahsa narrowly escapes capture in ride for Erzerum until next day. He leaves for Constantinople on January 7. Cameroons: Brigade-General Gorges takes Chang (4525 ft), demolishes fort and retires on January 6. East Africa: Cruiser Fox and battleship Goliath again shells Dar-es-Salaam. France: Joffre asks for 80,000 artillery shells per day (production not achieved till after January 1916). Britain: Kitchener tells Churchill that no troops are available for Dardanelles operation. Britain: Kitchener telegram to Petrograd (Russia) that ‘… steps will be taken to make a demonstration against the Turks’.